White marble is one way to make your kitchen look elegant and stylish in just one simple step, no matter what kind of cabinets you install. Marble has almost always been a sign of wealth and luxury. So what do you do if you’re looking for a new design idea for your kitchen and don’t know what comes next? Go with marble. The white marble here is definitely going to be a great way to get exactly what you’re looking for in both regards. White marble is basically just what you think of when someone says those two words. It doesn’t have to be 100% white, however, as you could get more unique varieties for your kitchen. It’s mostly about the background of the marble, which is going to be pure white. From there, it’s entirely up to you what you want. Are you looking for a little more accent or a little more purity? 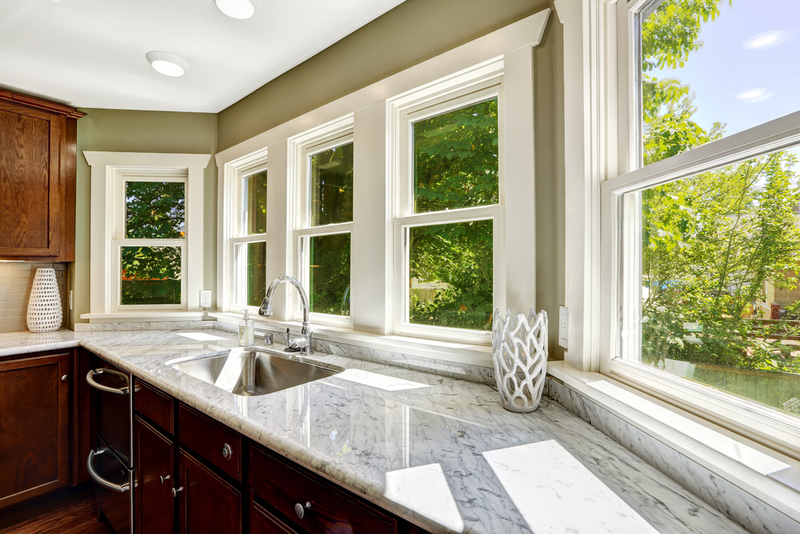 That can help you in choosing one of these beautiful white granite colors. When it comes to style you should also look at other features, like what the edges of the marble are going to look like. Some people like rounded edges while others like rough edges. Maybe you want something in between. 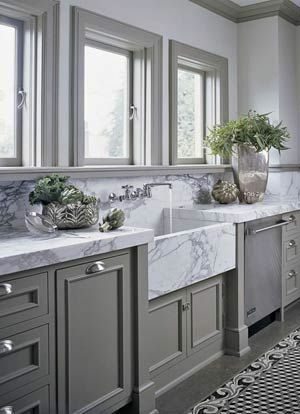 Scalloped and beveled edges are always popular and some people even like their marble to be a backsplash or tile. When it comes to spending your money on white marble, however, you might want to take a few minutes to think about it. 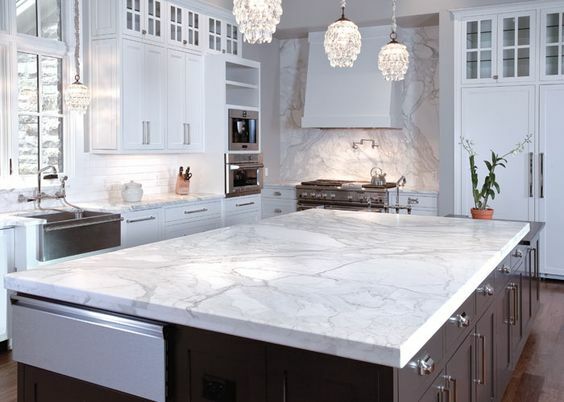 This is where your big expense is going to come in because marble can cost $125 – $250 per square foot. If you’re thinking about putting it throughout your kitchen you may want to factor this in. For some people, it won’t matter how much it costs, but for others, it might bear thinking about at least. 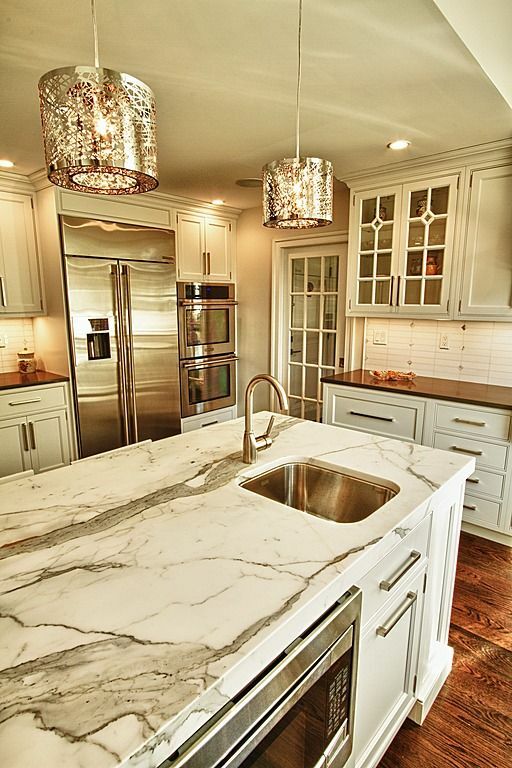 Many people use white marble as an accent so they don’t have to spend quite as much on their countertops. If you’re looking for something high quality and durable, there’s very little that can beat marble in any of its forms. 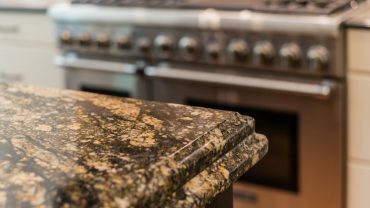 Even granite is going to be strong and durable but close to the same price at $100 – $225 per square foot. If you’re looking at saving money with the highest possible quality, it’s going to be a tossup on those two options. If you really want marble but don’t want to spend so much, look at ways to add just a little in your house. 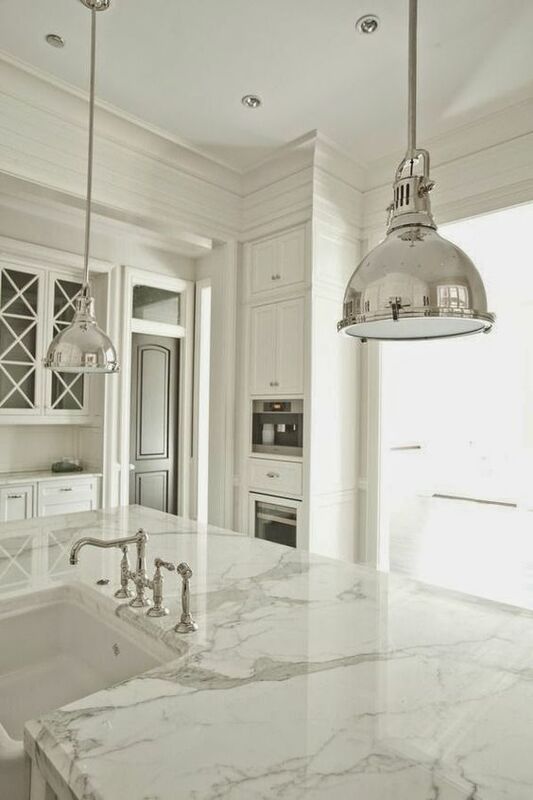 Instead of using only white marble, use the marble on an island and something else on the main cupboards. Maybe you want to do the revers and put marble as your main but butcher’s block on an island. You can also look at backsplash tiles in white marble. Of course, if you’re certain that you want some type of white marble you should be looking at these options. 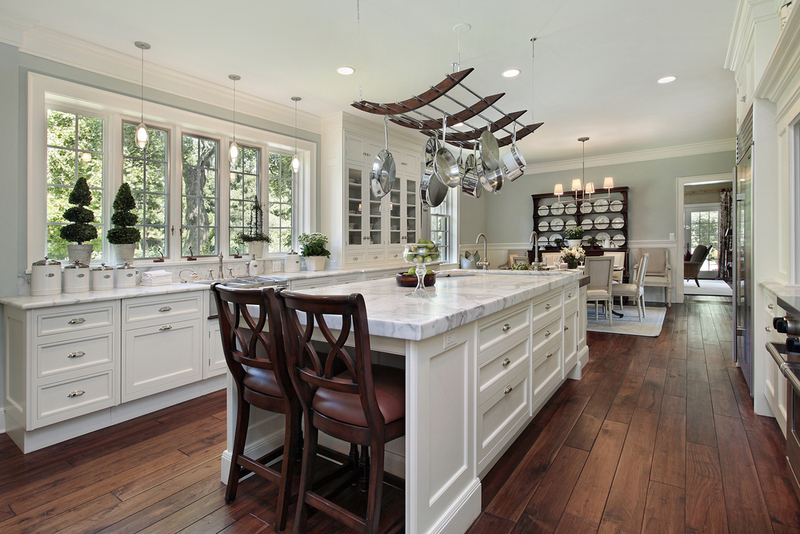 We’ve tracked down some really beautiful kitchens that you’ll want to check for yourself. You might find something that you absolutely love for your own home. Or maybe you’ll find something that gives you an idea of what to do in your own home. 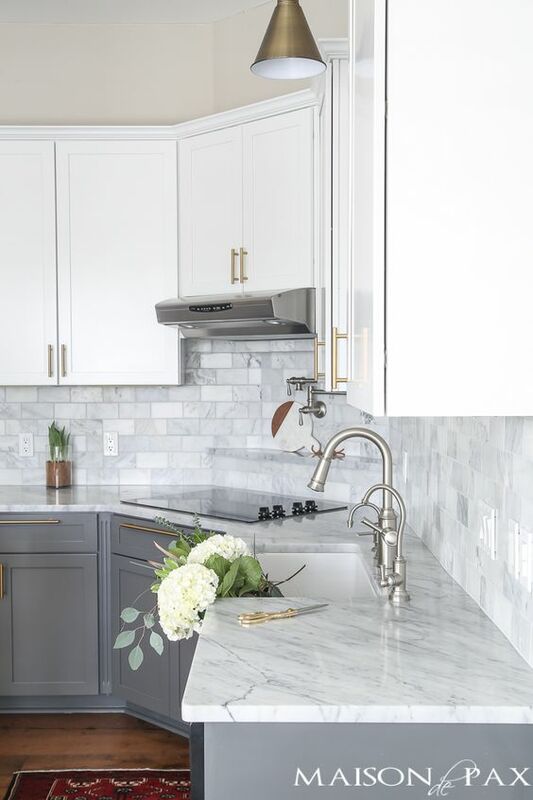 White marble paired with gray helps highlight the veining and when paired with a farmhouse sink, you get plenty of color. This kitchen also features the marble up the walls as a backsplash to make it even more elegant. 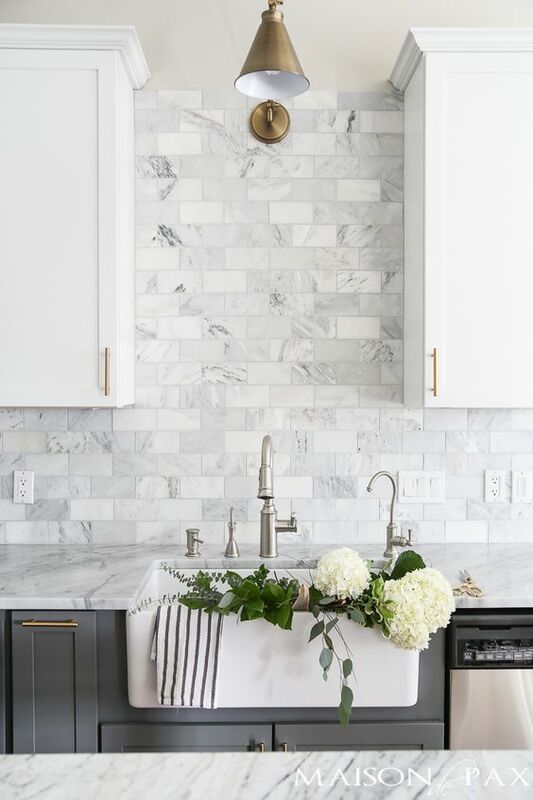 The white cabinets with the white marble create a classic look and the modern style of the pendant lights and backsplash definitely highlight that. You get something that combines a timeless elegance with more modern notes. 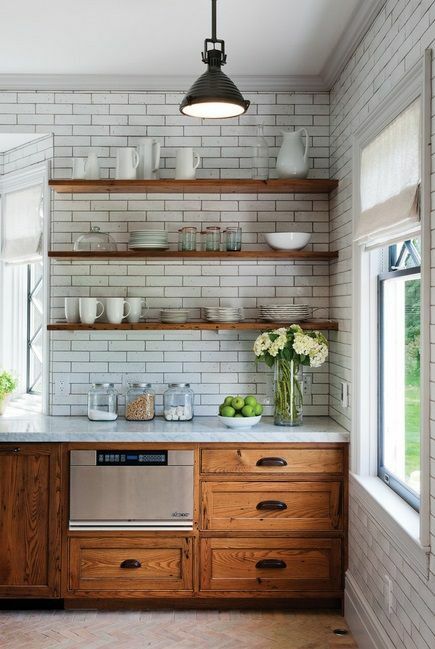 The white marble here seems to extend all the way up the walls into the tile backsplash. It also creates the ideal tie-in between the gray counters below and the white cabinets above. 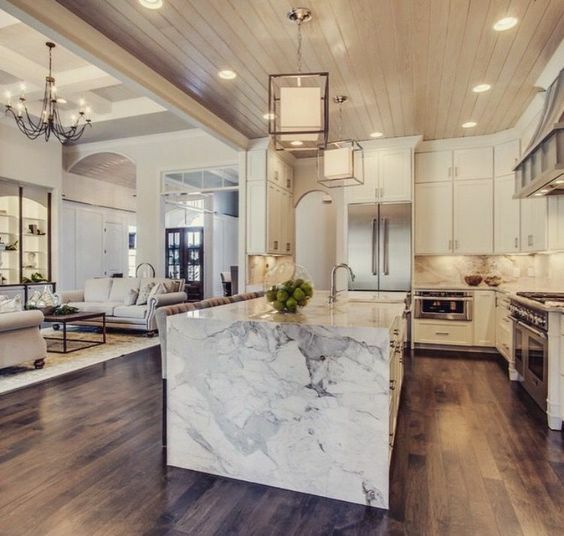 The waterfall style of this kitchen island brings even more of that white marble to the forefront. You can see it and really experience the luxury alongside the pendant lights and hardwood floors. There’s only a small amount of veining and colors through this piece of white marble, which really helps to increase the luxurious feel of it. 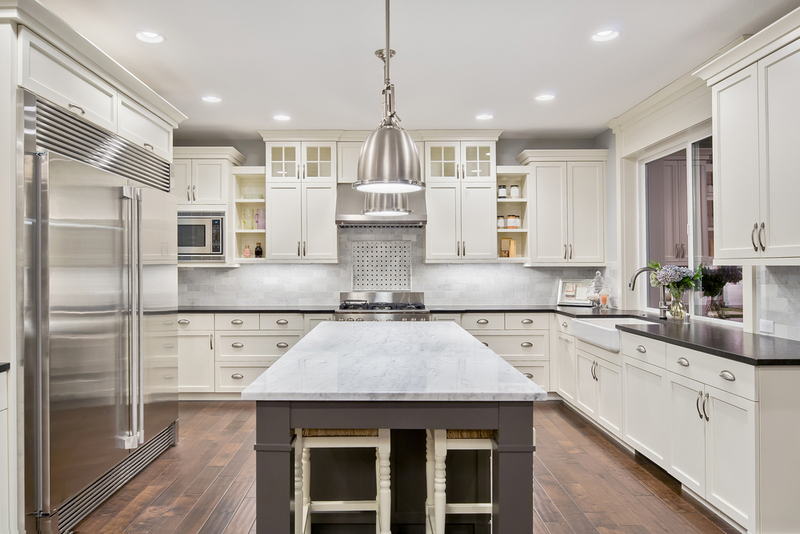 When paired with an all-white kitchen, you get a timeless feel. This marble goes on the table instead of just on the counters, and that really creates a unique look. If you want something nice and high class putting marble on top of your table definitely does that. The rustic wood of the cabinets here really contrast with the marble and that is a really stylish look. The dark colors and the old-style faucet really help enhance that idea too. The black cupboards here definitely benefit from the white marble over the top. It helps to lighten things up and keep the kitchen bright and airy. 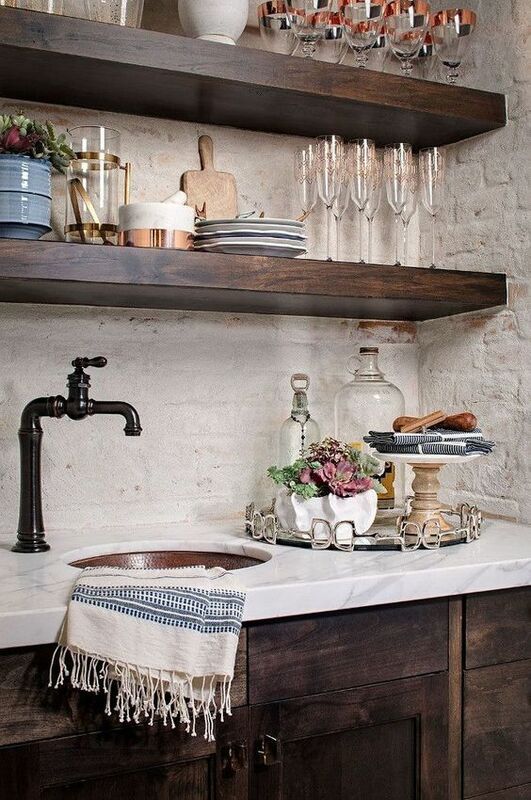 A little bit lighter but still rustic wood and brick tiles for a background really enhance the marble countertops. They seem to class up the wood while the wood helps to tone down the marble. It’s an ideal balance. A large slab of white marble can really set the tone for the entire room and this piece does that and more. It also extends to the back wall, which really makes this kitchen something to see. Here you can really get a feel for the white marble extending from the countertops all the way up the wall. It ties everything together and gives just the right amount of accent color (in the form of gray tones) to the white cabinets above. 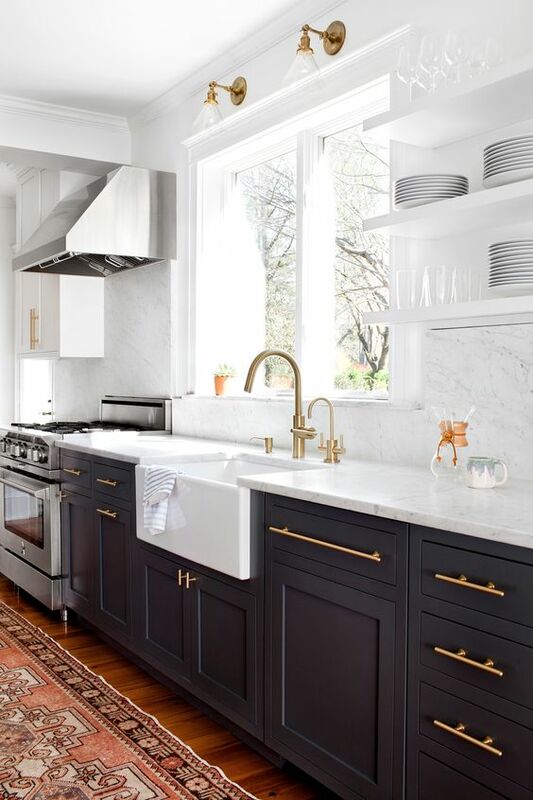 The marble here has darker tones and a whole lot more of it, which helps tie in the bronze color through the rest of the countertops. It also gives a little less ritzy feel and a more stylish one. 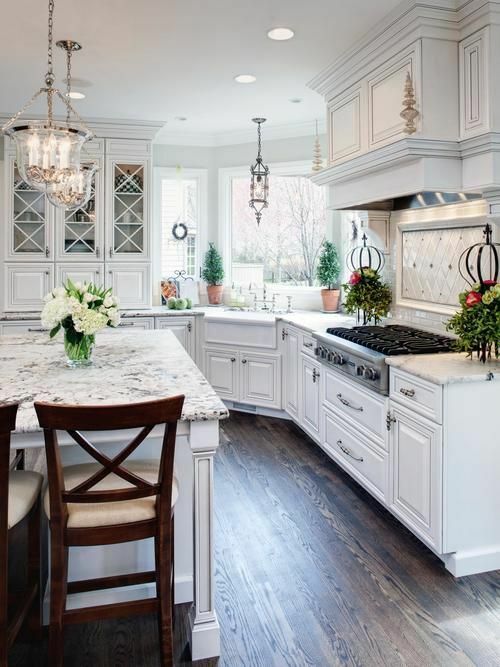 Here we’ve got bright white and silver all around the outside, with dark countertops over it all. With the center being gray in color instead, it really inverts things and creates an accent that draws your eye, and takes away from the starkness. This piece of marble looks unique not just because of the heavy veining throughout, but because of the setup with the corner windows. It really draws out the colors and creates a beautiful impression.